Did you know that a simple baseball hat can help prevent cataracts and skin cancer? 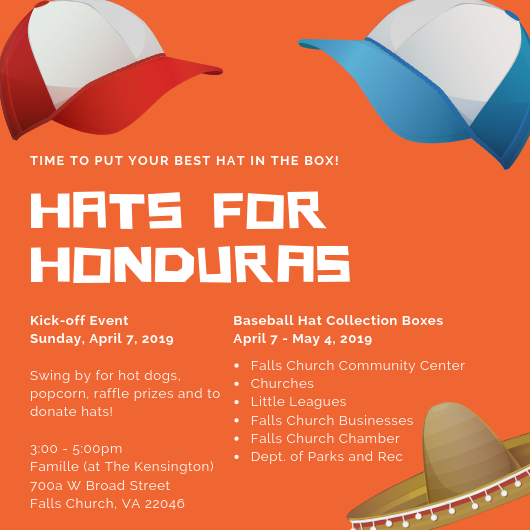 We want to help our friends in Honduras by collecting as many hats as we can. Join us for a kick-off event Sunday, April 7 or donate hats at collection boxes through Saturday, May 4. Swing by for hot dogs, popcorn, raffle prizes and to donate hats!